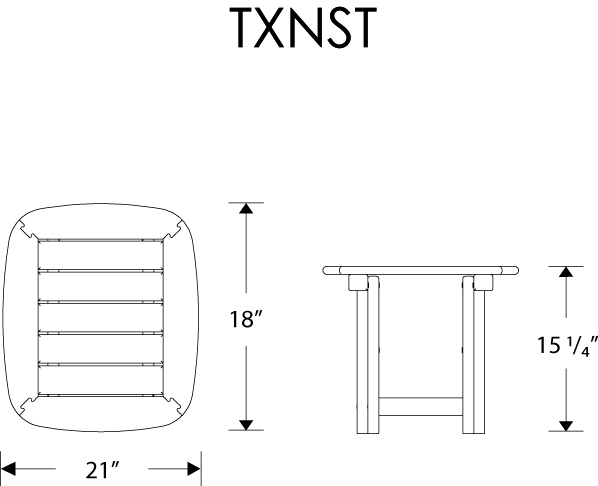 The Trex® Outdoor Furniture™ Yacht Club 21" x 18" Side Table is the perfect accent piece to use with any of the Yacht Club collection chairs, benches, or chaise. It provides the ideal spot for resting drinks, snacks and your favorite book. It’s also available in a variety of attractive, fade resistant colors that are designed to coordinate with your Trex deck. This durable table is built to last and look good for years as it resists weather, food and beverage stains, and environmental stresses. And because it’s backed by a 20-year warranty and made with solid HDPE lumber, you don’t have to worry about it rotting, cracking, splintering or requiring such upkeep as painting or staining.